Far away there is a nation that is as old as the hills, yet as alluring as the legendary Avalon. Affluent with majestic Himalayas, green valleys, glittering streams, relevant atmosphere and people, who are as honest as they are hospitable. A land which hosts the world’s highest peak Mount Everest and also known all over the world as the birth place of Lord Gautama Buddha, the light of Asia. That very land is Nepal, a country which has almost everything enchanting to share with the rest of the world. 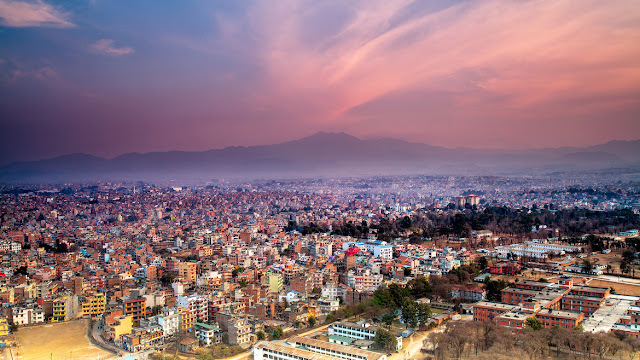 City of temples Kathmandu, which is the capital city of Nepal is not only the gateway for Nepal but also the city full of historic monuments, buildings, temples and monuments. Though the massive earthquake in April 25th, 2015 hit this city quite hard resulting loss of thousands of lives and damaging some of its historic monuments, it was not able to eradicate the glory and this history that this city possess. Yes, Kathmandu still exists and is still more lively than ever. One who is new to Kathmandu might first be overwhelmed with the view of the crowded streets, traffic jams and dusty roads. They might even wonder what can be done in this unorganized area. But if they give some serious exploring and keep those things aside then they will never get bored because there are whole load of enjoyable activities that can be performed in this area. There is something new for everyone in this tiny little city. Here we are going to list some of the top activities that no-one should miss if they're visiting Kathmandu. You cannot roam around Kathmandu on empty stomach. Can you? Well well well, if you are foodie type then I'm sure you're gonna love Kathmandu. 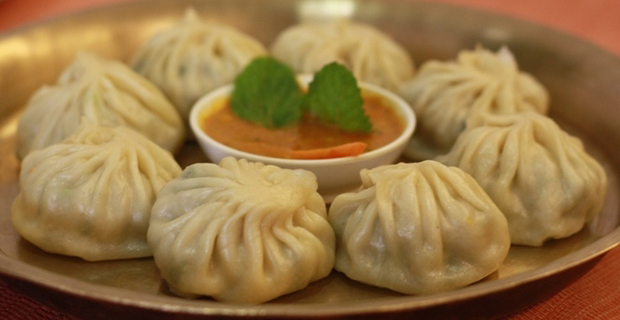 There are tons of Nepalese food items that is guaranteed to make you fall in love with Kathmandu. There are tons of options available, you can have momo, gulp down cold lassii and there is this "juju dhau" a special yogurt imported from Bhaktapur district. There are large number of cafe and restaurants nearly in each and every corner of Kathmandu which offers massive range of Indian, Chinese and Nepalese cuisines. We recommend Magic Momo and Momo Cave for delicious momos and if you want to have some coffee then do visit Himalayan Java. 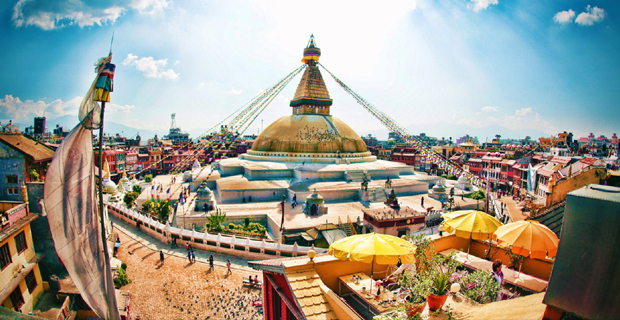 Probably one of the most important and the most popular attraction of the Kathmandu Valley is Swayambhunath Stupa area. 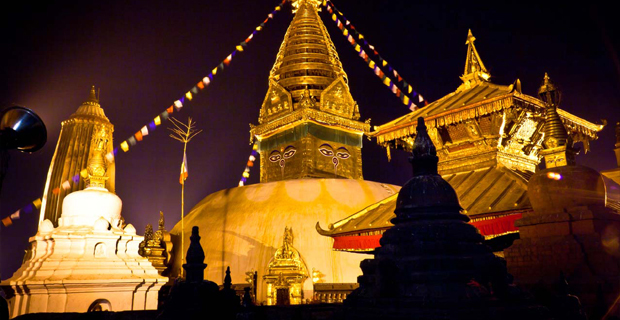 This world-heritage listed Swayambhunath Stupa is also popularly known as the monkey temple. This ancient golden temple lies at the top of the hill west of the capital Kathmandu making it easily visible from almost every angle from the Kathmandu valley. The most enchanting part of this area is the panoramic view of the Kathmandu city from this location which is guaranteed to freshen up body, mind and spirit. To reach the top of the stupa you can either take a taxi or climb all 365 stairs which is believed to be self exited. With massive area of five acres Kathmandu Durbar Square is one of the religious, social and cultural central point of Kathmandu. It is also the old royal palace of Nepal and the former royal family used to live in this palace till 1886. Later they moved onto the Narayanhiti Royal Palace. Kathmandu Durbar Square consists of several courtyards, palaces and temples which is believed to be established between the period of 12th to 18th centuries by the historic Malla Kings of Nepal. Even though some of the temples and attractions were completely or partially destroyed it still has what it takes to lure the foreigners. Some of the notable attractions of Kathmandu Durbar Square includes places like Taleju Temple, Nine-story Temple, Kal-Bhairab statue, Nasal chowk etc. 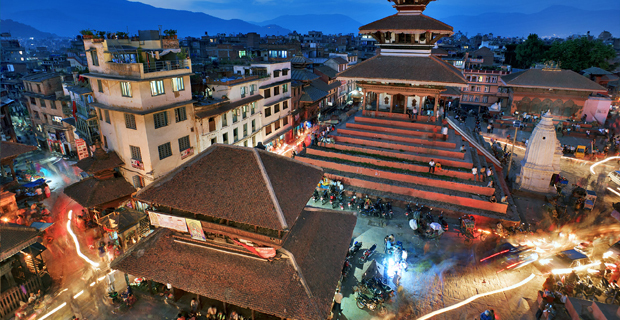 Kathmandu Durbar Square is also popularly known as other names like Hanuman Dhoka Durbar Square and Basantapur Durbar Square among the locals. Pashupatinath Temple is regarded as one of the most divine and religious temple among the Hindus. Located at 5 km north east of the capital Kathmandu it is a temple which is believed to the resided by non other than the supreme god of destruction Lord Shiva. Its staggering architectural beauty, stands as a indication of conviction, religion, culture and tradition. The area around which this temple is located is called Pashupati area and this place is one of the most important pilgrimage for the Hindus. Each year thousands of Hindus visit Kathmandu to visit this temple to receive the blessings of Lord Shiva. 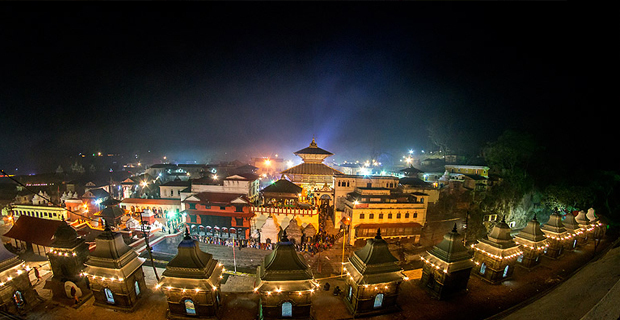 Pashupati area gets lively on the occasion of Maha Shiva Ratri, a festival on which Lord Shiva is worshipped by all Hindus. Bouddhanath stupa is one of the most ancient and the most biggest and enigmatic buddhist stupa of Nepal. Situated at 7km east of the capital Kathmandu, it is also known by the name as ‘KhastiChaitya’ among the locals. It is also a well known pilgrimage site for the buddhist and has been listed by the UNESCO in the World Heritage Cultural site. This stupa possess gompa attractions and monasteries and they are all superbly decorated and colorfully painted. Thamel is one of the most popular district in the Kathmandu Valley among the tourist as well as the local people. 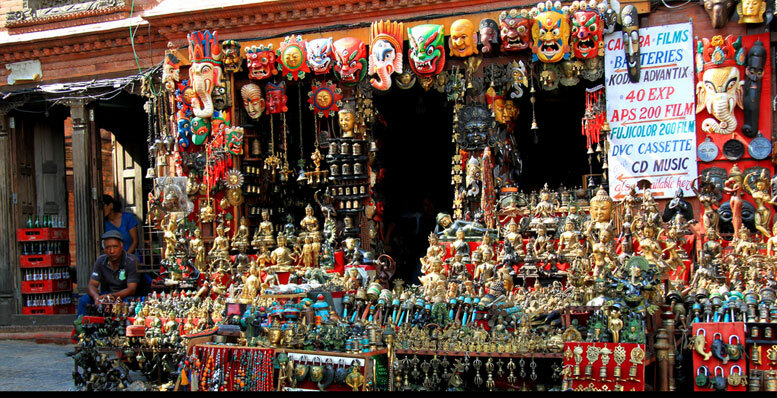 Tourists keep In touch with Thamel area because this is the place where all kinds of facilities and amenities are available for them. Tourists information, money exchange, antique gift and curio shops, tour and travel company, trekking stores, tour agents, trekking guides, cafes, bars, restaurants, hotel and lodge, etc are all available in this area. There is a unique environment in this district. It is lively and things get more and more awesome in the evenings. There is a saying among the locals that the streets in the Thamel never sleeps. You can shop almost anything in Kathmandu. Things like trekking and camping gear, souvenirs to antique gifts and all are available over here. Quality and the price of the items may vary but you have to inspect more shops and can buy the item that you like the most. 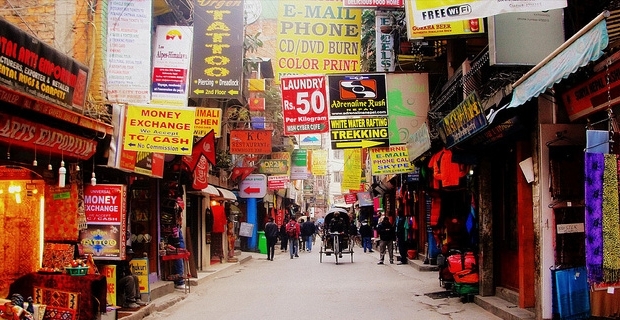 If you are planning for shopping then we recommend Thamel district and New Road area. I recommend you to have a look on the pashminas or handicrafts shops. You can also inspect some local art shops and that sells "Thankas" a Tibetan Buddhist painting. One thing that you cannot miss while you are in Kathmandu is the Nepalese khukuri, look for the one that is made in Bhojpur district. The khukuris made in Bhojpur are popular in Nepal. It can be a perfect momento of Nepal. Build around 1920s Garden of Dreams lies between the junction of Thamel and Kantipath area. This garden was renovated in the early 2000s and has european style architectural and landscaping. Aside from the ponds and garden what this garden offers is the serene environment away from the hustle and bustle of Kathmandu. There is Kaiser cafe and Barkha bar in this area on which you can order cold ice-cream and coffee to enjoy the serene atmosphere. 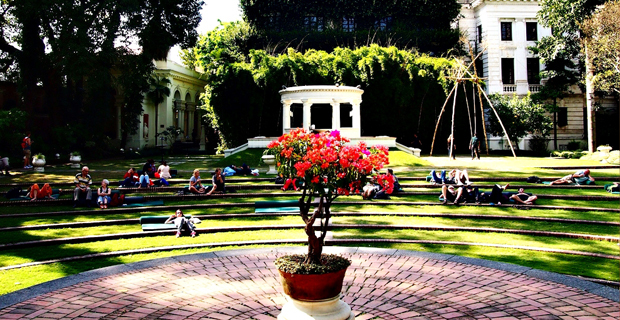 For the foreigners who like some peaceful environment this can be a place to freshen up the mood. So, there goes my listings for the things that you cant miss while you are in Kathmandu. These things which I've listed over here are budget friendly and wont cost much. Of-course there are other things like the mountain flights from Kathmandu and hiking parts which I've omitted from this listings cause they are things that might cost you a lot. But if you are the fella who dont bother spending much then you can try them as well. And if there are some other things that you thing I should have added in my listings then feel free to comment them below.